It's official: dubstep has become mainstream. 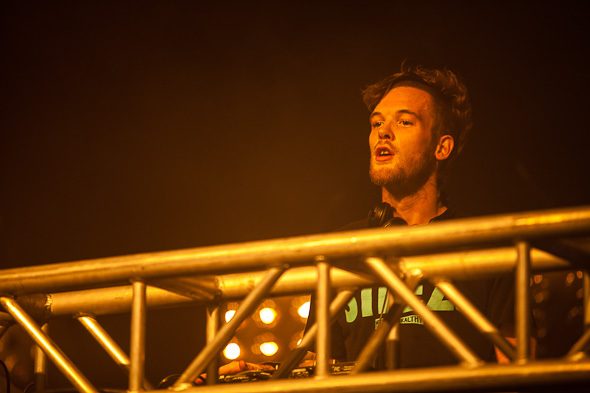 There've been many musicians and entertainers across the world who've endeavoured to bring widespread attention to the wobbly drum-and-bass-enhanced tones, and last night's Rusko show at Sound Academy solidified the popularity of the once-underground genre. After the standard Polson Pier strip search, I transitioned from the fresh air on a quiet Tuesday evening into the flashy, furry realm of upbeat dub. The shirts were off, the Uggs were hopping, and the glow sticks kept the party light. At one point, a man in a furry dog costume--who knew Furry Fandom and dubstep shared realms--and asked if I wanted a drink. I declined, fearing the thought of it coming in a tin bowl. Lycra, leather, lace, and latex were the fabrics of choice and most people--expecting a non-stop dance party--wore very little of it. And dance was what they did. 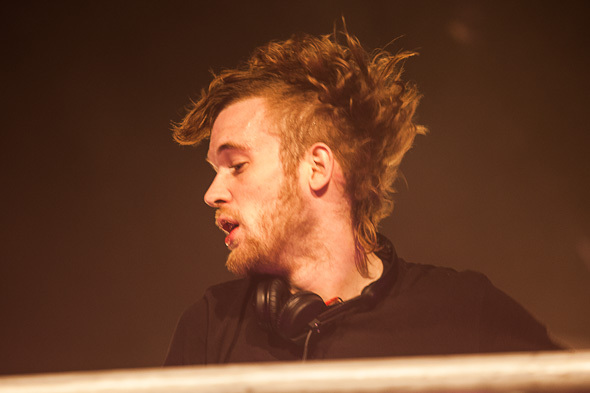 Rusko's unstoppable energy was infectious. He bounced around the entire time, giving shout-outs to the crowd and playing hits like Somebody to Love and Everyday. With few breaks between songs, people were dancing for over two hours and loved every minute of it. From rhythm-paced fist pumps to vicious moves requiring many feet of personal space, dubstep invited all dance preferences and required dancers to leave all shame at the door. 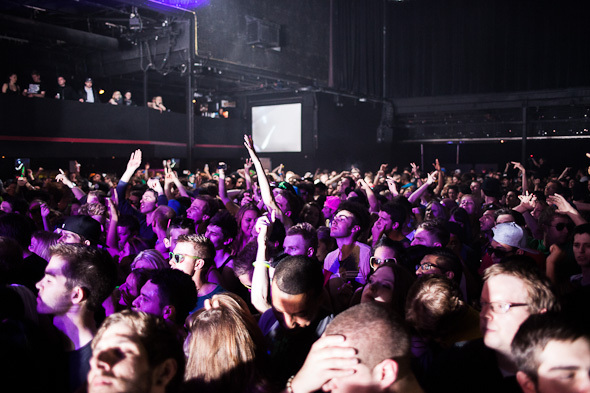 Sound Academy was near-full, which is more than impressive for a late-night show on a Tuesday. Rusko's wobbles continue to gain mainstream popularity and I can only imagine what the crowd will be like at his next Toronto show. 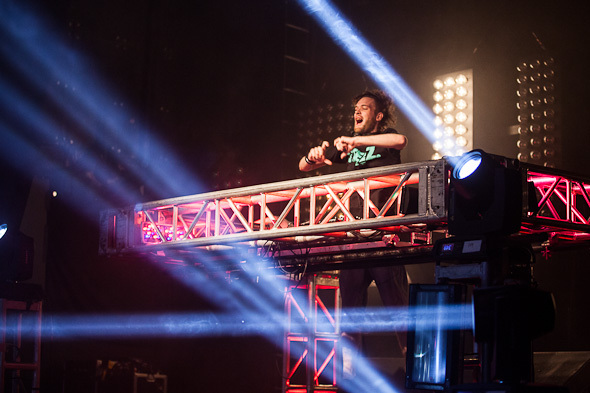 If you've got the urge to dress like the guys from LMFAO and going to an awesome dance party, your cravings will be satisfied at a Rusko show.